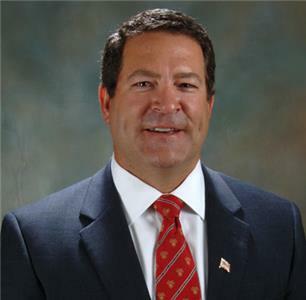 Tennessee Senator Mark Green announced the formation of a 501 (c)(4) Five Stones Network, for the purpose of training, equipping and mobilizing leaders of faith to impact the world of politics and good government. In his second term as the Tennessee Senator serving the Montgomery, Houston and Stewart counties and as vice-chairman of the Senate Commerce Committee, Senator Green began the confirmation process following President Trump’s nomination of him to lead the US Army. Many of the attacks on Senator Green revolved around his faith positions with activist groups specifically targeted speeches he had made at churches across the country. Senator Green is joined in establishing Five Stones Network by former Georgia State Senator Judson Hill, an Atlanta-area attorney who served as the Senate Finance Committee Chairman and Deputy Majority Whip and as Assistant US Attorney for the Northern District of Georgia during the Ronald Reagan Administration. Five Stones Network, a faith-based non-profit is working to partner with other conservative advocacy groups such as Lift the Vote, 2nd Vote, the Family Research Council, the Heritage Foundation and the Cato Institute. The group’s mission is based on the biblical account of David victory over a massive giant using five, smooth stones in faith.